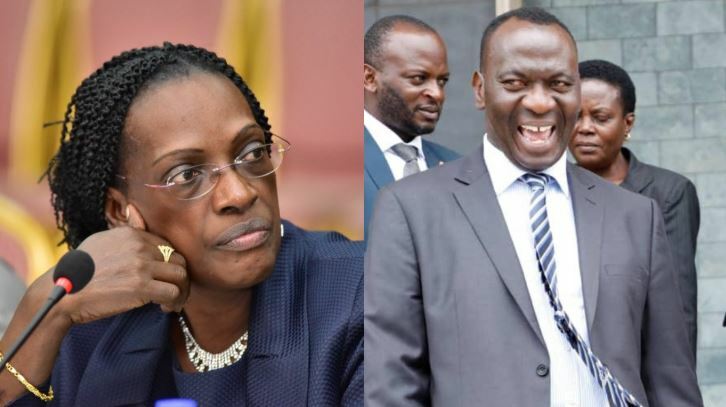 KAMPALA – The Bank of Uganda top officials return to parliament Thursday morning with the fate of the embattled former Executive Director for Supervision Justine Bagyenda to be decided by the MPs. Ms Bagyenda, reportedly in neighboring Nairobi, Kenya, has since Friday last week snubbed the Parliament’s Committee on Commissions, Statutory Authorities and State Enterprises (Cosase) that is conducting an inquiry into the conduct of Bank of Uganda and it’s officials in the closure of seven banks, with some ending up in massive controversy. Ms Bagyenda, a key figure in the central bank’s drastic measures now under review, has been ruled in contempt of parliament by the MPs, after she wrote last week to inform the commitee that she would not be available until December 13, yet she is a key witness in the inquiry. Committee Chairman Abdu Katuntu gave her up to Thursday to appear or face an arrest warrant. Ms Bagyenda first snubbed the committee on Friday, November 23, when the MPs probing into the closure of seven commercial banks, first learnt she was out of the country.